Arctic fisheries represent only about 5% of the global catch. Despite this low figure, fisheries are a major driver of northern economies and an important source of local income. To that end, they account for 90% of export earnings of Greenland, 33% of Iceland, 6% of Norway, and less than 1% of those of Russia. 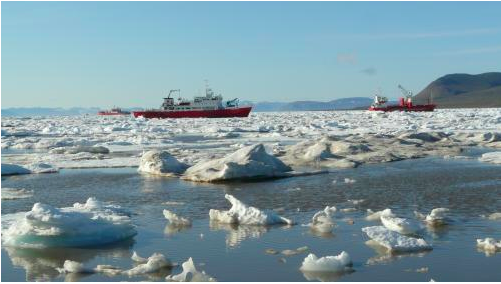 Arctic fishing activity takes place in two major areas: the Arctic marine area (the maritime area that extends north of the Atlantic), and the Central Arctic Ocean. 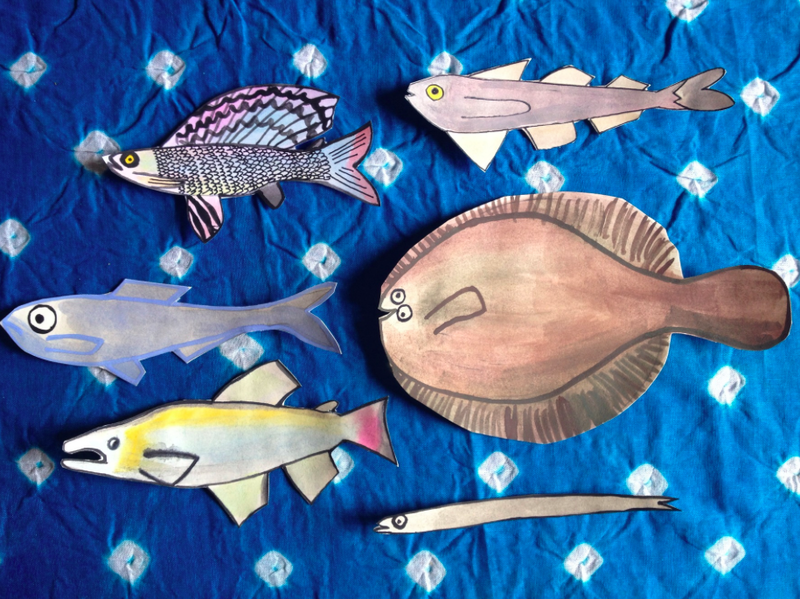 The Arctic marine area is very rich in fish diversity; prevalent circumpolar fish species include capelin, Greenland halibut, northern shrimp, Atlantic cod, haddock, Alaskan pollock, Pacific cod, and snow crab. Northeast Atlantic (the Barents and Norwegian seas): fisheries occur within Russian and Norwegian jurisdictions and in international waters. The fishing industry is located in small communities along the coast in Norway, while in Russia activities are concentrated in large cities like Murmansk. Central North Atlantic (waters around Iceland, Faroe Islands, and Greenland): waters around Iceland the Faeroe Islands are warmer than those of Greenland and particularly rich in fish. Greenland takes only relatively few commercial species. Northeastern Canada (Newfoundland and Labrador): fisheries in this area occur near Greenland, near Canada and in the Baffin Bay and David Straits. Eastern and Western Bering Sea: Here, the continental shelf is one of the richest in terms of fisheries, and trawling is common practice. The two main global instruments for fisheries regulation are the United Nations Convention on the Law of the Sea (UNCLOS) and the 1995 UN Fish Stocks Agreement. These instruments contain framework provisions on fisheries capture. Following the UNCLOS, coastal states are granted rights over living marine resources within their maritime zones and other states in the highs seas. These rights are accompanied by many obligations relating to, for example, impacts of bycatch and cooperation with other states on transboundary stocks. Overall, UNCLOS provisions related to fisheries have two objectives: avoidance of overexploitation and optimum utilization of fish stocks. Actual and detailed fisheries regulation is provided by states individually or collectively, through regional regimes and fisheries management organizations. These regimes regulate collaborative research, joint regulation, and also provide instruments to verify rule compliance. Regional or bilateral bodies and instruments include, for example, the Norwegian-Russian Fisheries Commission and the North-East Atlantic Fisheries Commission (NEAFC). The mandate of these two bodies extends to include part of the Arctic Ocean. What about the Central Arctic Ocean? The area north of the Bering Strait is covered with ice all year round. No commercial fisheries may operate in this area of 2.8 square km. Except for the area covered by the NEAFC, the Central Arctic Ocean features a gap in high sea regulations by regional fisheries management organizations. As a result, melting ice could make this marine area more accessible in future. Yet, no considerable commercial fisheries are expected in this area in the short run. In 2011, a meeting of scientists held in Anchorage confirmed that commercial fisheries are unlikely to occur in the Central Arctic Ocean in the short term. What are the risks of expanded commercial fisheries in the Arctic? Increased commercial fisheries in the Arctic run the risk of overfishing, which can negatively impact the Arctic environment in many ways, including by reducing stock sizes with long-term modifications to the age structure of populations. Therefore, illegal, unregulated, or unreported fishing that does not comply with existing standards and quotas must be avoided. Fisheries conservation and management authorities usually adopt substantive standards to regulate fisheries. These include restrictions on catch and effort, designated species for which targeted fishing is prohibited, minimum size limits for targeted species, maximum bycatch limits (in relation, for example, to marine turtles and marine mammals), gear specifications, and temporal/seasonal or spatial measures to preserve targeted species or sensitive habitats. With prospects of increased access to the Arctic marine area and new fishing opportunities, all states and relevant entities are called to ensure that new fisheries comply with existing regulations or, if these are not in place, that they are not conducted in an unregulated manner. In this respect, the US has recently taken a precautionary approach regarding prospective fisheries in its EEZ, prohibiting commercial fishing until more information on the impact of fishing is available. An important feature of the precautionary approach is that consequences of fisheries exploitation must be clear and certain. If not, economic activities should stop, until all the risks connected with them are assessed. Lloyd’s, 2012. Arctic opening: opportunity and risk in the High North, Arctic Risk Report, p. 27. Lindholt, L., 2006. Arctic natural resources in a global perspective. In Glomsrød, S. & Aslaksen, I., eds., 2006. The Economy of the North. Oslo–Kongsvinger: Statistics Norway, pp. 33-34. Molenaar, E.J., 2014. Status and reform of international Arctic fisheries law. In Tedsen, E., Cavalieri, S., Kraemer, R. A., eds., 2014. 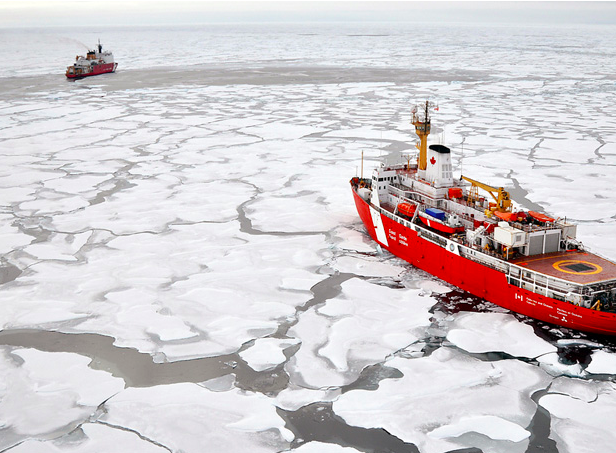 Arctic Marine Governance: Opportunities for Transatlantic Cooperation. Berlin: Springer. Ibid. This means that coastal states cannot catch the total allowable catch by themselves but must give others access to the surplus. Development. Risks and Responsible Management. Joint report prepared for the ONS Summit 2012.